Welcome to Atlas Fencing and Timber Products. 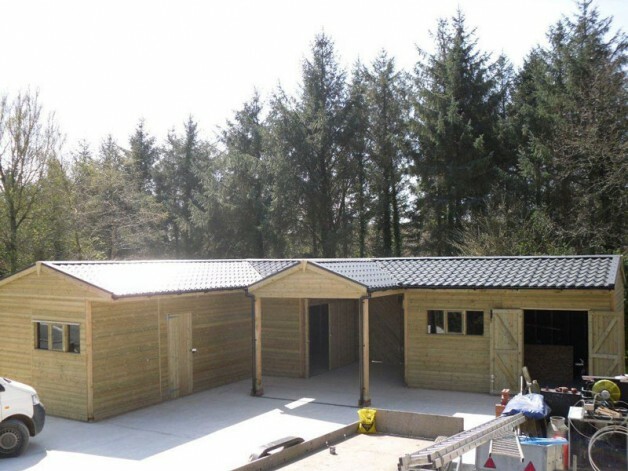 Atlas Fencing and Timber Products, are a small business based in East Devon specialising in the installation and manufacture of top quality, custom built garden timber buildings, from garden sheds to stables, summerhouses to garages, workshops to garden offices and cabins to suit varying budgets. As well as our bespoke timber buildings, here at Atlas we also supply and install top quality fencing, from post and rail fencing, featheredge / closeboard, stock fencing, paddock fencing and fence panel installation & gates amongst many other products and services all at competitive prices. All our products are produced by our own highly skilled craftsmen, using only the best quality pressure treated softwood and hardwoods such as oak to be hard wearing & long lasting. We also supply a repair service for all of the above as it is not always the case that new is needed. We now have a Decking & paving service of which there are pictures on the Gallery. Atlas Fencing operates within a 50 mile radius of Exeter, Devon. However, if you have a job in mind outside of this area, please don’t hesitate to call. Check out the Testimonials Tab to see what our valued customers think about our work. For a free, no obligation quotation, or simply would like some advice, please call Andy Milden on either 01404 851 444 , Mobile 07769733763 or use the “contact us” tab. I chose Atlas to replace my Garden fence as they gave the quickest & most helpful response to my enquiries. In the end Andy was able to come a day earlier than we first scheduled which was great, and I watched the old structure come down & the new 6mtr fence go up in just 2 hours. Andy even took away the old fence & fixed the gate so that I could lock it. He also sawed down 2 tree stumps for me & again took them away. It was a really friendly & efficient service and relieved a lot of stress for me as the Garden had been left with a very poor boundary which I wanted rectified as soon as possible. I would absolutely use Atlas again and recommend their services wholeheartedly. Atlas Fencing responded to my call very swiftly & came out to quote for me the next day. They were able to carry out the work within 10 days and did so in a friendly & professional manner. My new fence looks great & seems very robust. I was advised that should I have any problems to contact Andy who would sort them out. Very pleased & would recommend without doubt.